The recently proposed Ending the HIV Epidemic: A Plan for America prioritizes four strategies central to meeting the goals of the Plan. These four strategies are Diagnose, Treat, Protect, and Respond. (For more about each strategy and the Plan, we encourage you to visit the Plan section of the HIV.gov site). In recognition of National Youth HIV & AIDS Awareness Day (NYHAAD) 2019, today we highlight a few local activities focused on HIV testing. 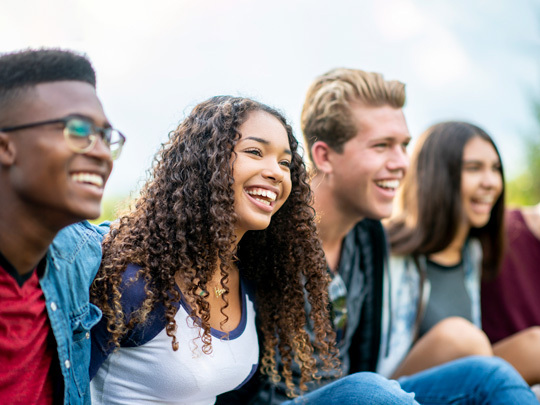 Not only may such activities help youth get diagnosed, enabling them to connect to care, but they also provide an opportunity for those who test negative to connect to the HIV prevention services that are appropriate for them, including PrEP. Such activities exemplify the Diagnose, Treat, and Protect strategies in the Plan while also leveraging the momentum of an established national health observance day. Lexington-Fayette County (KY) Health Department and Arbor Youth Services in Kentucky are partnering to offer free HIV testing at Arbor Youth Services. This April 10th event includes an educational session on sexually transmitted infections, one-on-one educational sessions, desserts, and prizes. We saw @LFCHD tweeting to encourage youth participation in this NYHAAD event. A Youth Game Night & Tournament is happening tonight at the Queens LGBT Center. Free HIV testing will be available. Later this week on April 13, STAND is offering “TRAP & PAINT: Youth HIV/AIDS Awareness Day edition” in Decatur, Georgia to increase youth awareness of HIV. The event includes painting, dance, music, prizes, raffles – and a chance for attendees to learn about HIV. These are three examples of events and communication efforts that are happening on and around NYHAAD 2019. Through social media listening we have found NYHAAD webinars, conferences, and more. Check out #NYHAAD today for more ideas on how to reach youth about HIV. As the 2019 calendar turns to subsequent HIV-related awareness days, HIV.gov will update our readers with additional examples of local activities that align with the strategies of the Ending the HIV Epidemic: A Plan for America. The HIV.gov Guide to Planning Awareness Day Activities can help you develop events to reach your target audiences. For more about the National HIV observances please follow the awareness days posts on the blog. Did you know? Anyone can subscribe to receive our emails about the Ending the HIV Epidemic: A Plan for America.